Refresh this browser screen once you're logged in. 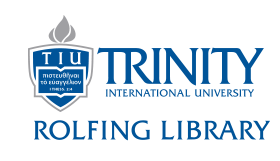 Log in to your TIU calendar using your myTIU credentials. Choose the hour you want to reserve on the appropriate room's calendar. To reserve more than one hour, make another reservation. If the hour does not have a clickable slot, it's already been booked or it's when we're closed. You can leave "where" blank. Under "description," put your reason for using the room and any other helpful information for us to know. 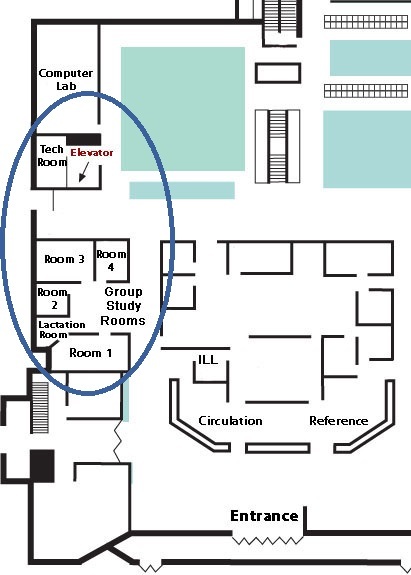 Group study rooms are for 2 or more individuals. Single individuals may only reserve the Technology Room. You may not use the room without first reserving it through the room reservation system. Your email confirmation must be presented at the Circulation Desk in order to gain access to the reserved room. If your reservation has ended, and your belongings are still in the room but you are not, all items will be removed to the lost and found. If you have not arrived within 15 minutes of your scheduled reservation time, your reservation is forfeited. 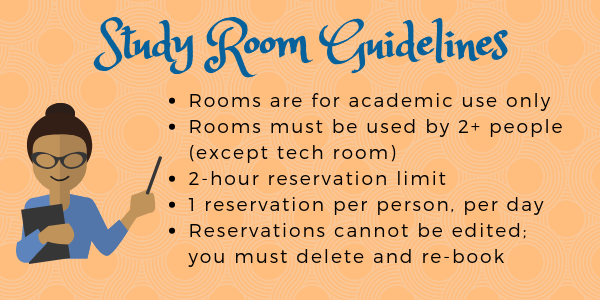 Other users who wish to use the room may do so until the end of your current reservation. These users should check in at the circulation desk, and may use the room until the end of that reservation period. Technology room: The technology study room is reserved for groups or individuals utilizing the provided technology for academic purposes. Users must check in at the circulation desk for the key to this room. In the event of any dispute, Library Staff will ask users to present confirmation of reservation. Staff decisions regarding disputes will be final. Study rooms are intended for students for academic use. Library Staff reserve the right to cancel reservations in conflict with any of these policies.